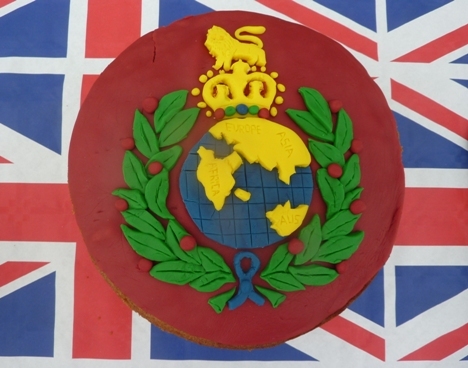 A planter commemorates the 350th anniversary of the Royal Marines. 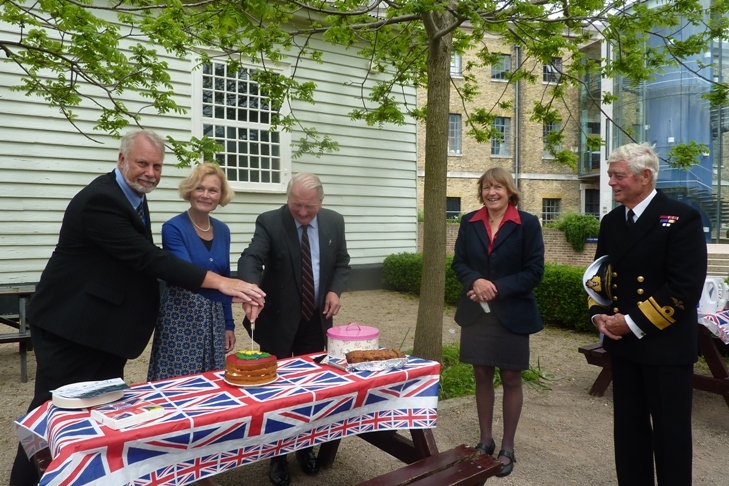 Ann Coats, coordinator of the Friends of the Porters Garden welcomed everyone to the anniversary commemoration and Major Robert Bruce, Director of the Royal Marines Museum, performed the opening ceremony and cut the ribbon with aplomb. 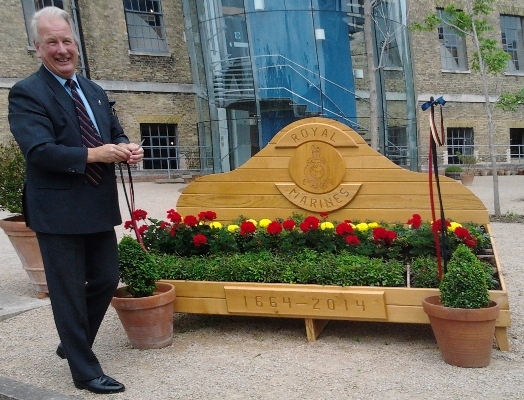 The planting scheme features the Royal Marine's colours, red geraniums, dark blue lobelia and yellow marigolds. 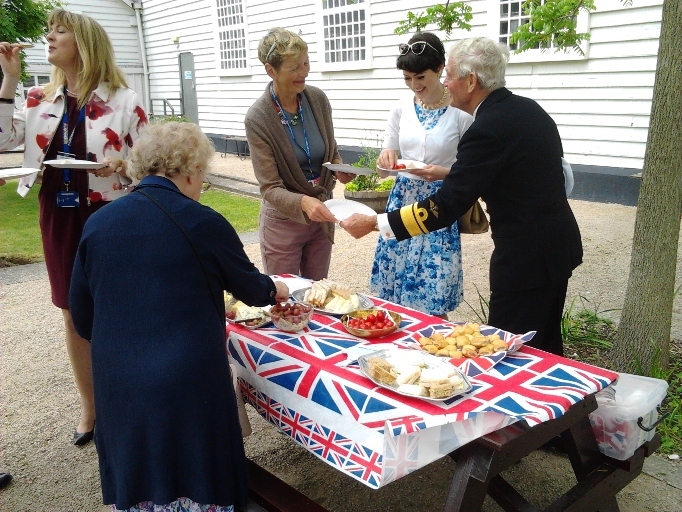 The plants, courtesy of the Royal Marines Museum, were supplied by Keydell Nurseries and the planting was carried out by the gardening Friends, supervised by Val Pennycook whose vision made the project possible. 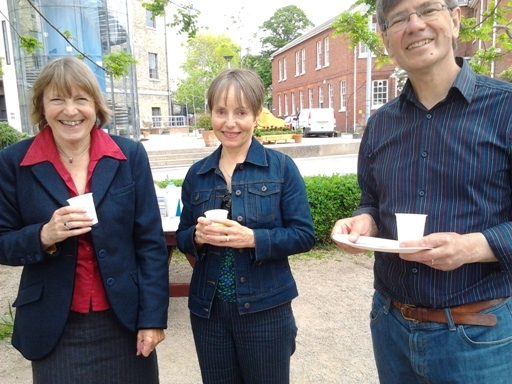 The ceremony was followed by a selection of good things to eat and drink provided by the Friends committee members.